Even if you think your at-home oral hygiene is up to par, it doesn’t mean you should skip out on visits to your dentist in Canton. 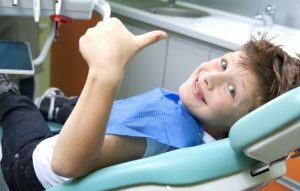 There are many benefits to making regular visits to your dentist for both you and your family. Not only do you get a professional cleaning and valuable advice on improving your at-home routine, but you also protect yourself from all kinds of diseases, save money, and convince others around you to visit as well. First and foremost, regular visits to your dentist in Canton will protect you from tooth decay and gum disease. Tooth decay is the number one cause of tooth loss in America, and nearly half of adults over the age of 30 have some form of periodontal disease. It’s no wonder your dentist is trying to get patients in the office every six months. It feels good to know you have the best oral care routine possible, especially when it’s confirmed by your dentist. It may be surprising, but there is such thing as an improper way to brush. For example, brushing with too much force or for too long can actually wear down enamel more quickly, rather than clean or protect it more effectively. Luckily, your dentist in Canton can tell if you’re brushing correctly if you visit him. Did you know that your dentist is in a unique position to catch other diseases by examining your mouth? Conditions like heart disease, dementia, osteoporosis, diabetes, and oral cancer all contain markers that appear in the mouth. By making regular visits to your dentist in Canton, you’re far more likely to catch these serious diseases early. The professional-grade materials your dentist uses are not available to consumers in a traditional grocery store or drugstore. When you visit the dentist, you’ll get a cleaning that is not only more effective, but deeper than what a traditional toothbrush can perform, even if it’s electric. Every dollar spent on preventive care is worth several more in restorative and emergency care, according to your dentist in Canton. If you want to avoid needing expensive dental treatments like tooth extractions, root canals, and dental implants, simply visit your dentist every six months to make sure your oral health is on track. These are only a few of the reasons why visiting your dentist in Canton is so important to your oral and overall health. We hope you schedule an appointment with us soon! Dr. J.D. Robison studied at Purdue University as well as the University of Michigan to earn his Doctor of Dental Surgery degree. He’s also gained post-graduate education through the Dawson Center for Advanced Dental Studies and the Las Vegas Institute. To learn more about his practice, contact him at (734) 453-6320 or visit his website.